This up to 34L mounted oil and fuel truck spill kit is a handy solution for cleaning up small spills of oil, fuel, diesel, petrol, solvents and other petroleum products when out on the road. 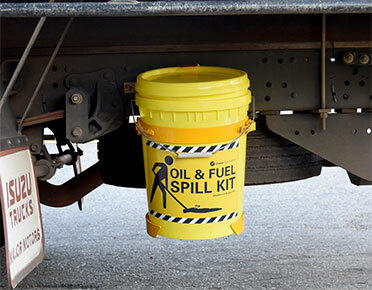 This oil and fuel truck mounted spill kit is a handy solution for cleaning up small spills of oil, fuel, diesel, petrol, solvents and other petroleum products when out on the road. Supplied with a powder-coated steel bracket, this truck mounted spill kit is ideal for small oil and fuel spills on unsealed areas around mine sites, drilling rigs and truck stops. 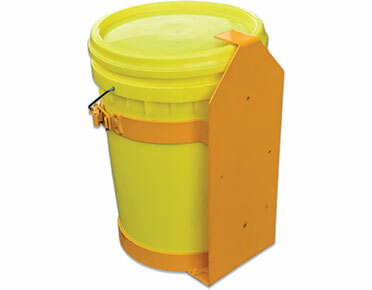 The spill kit is housed in a tough and durable waterproof bucket which fits neatly with the vehicle. Truck mounted spill kit designed for oil and fuel spills from trucks and machinery. 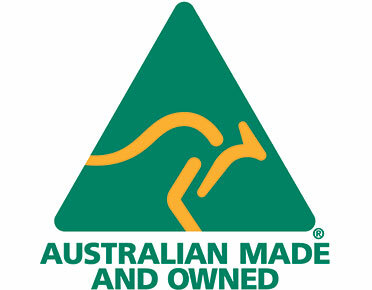 Contains polypropylene oil and fuel-only maintenance absorbents. 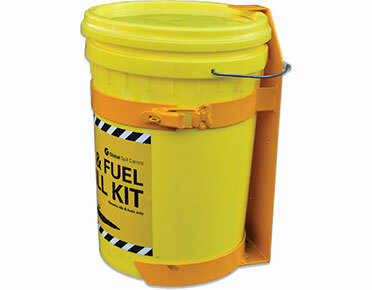 Spill kit is supplied in a tough, heavy duty, waterproof hi-vis yellow bucket. Order the mounting bracket set individually – includes a 20L pail and label.